Check & Connect Mentor Training is a 2-day in-depth, competency-based training designed to provide Check & Connect mentors with the information, competencies, and skills needed to be an effective Check & Connect mentor at their local site. See more information on the Check & Connect Mentor Training Agenda. This training is designed for those assigned the role of Check & Connect mentor as well as those interested in Check & Connect mentoring principles and practices. Check & Connect site coordinators and administrators are also encouraged to attend. The cost for open enrollment Mentor Training is $625/participant, or $595/participant if registering by the early bird deadline. Costs of travel, lodging, and additional meals are not covered by the training fee. There are no Check & Connect Mentor Trainings scheduled at this time. Sign-up for our monthly e-mail newsletter to receive a notice of any upcoming trainings, as well as other national news and resources. 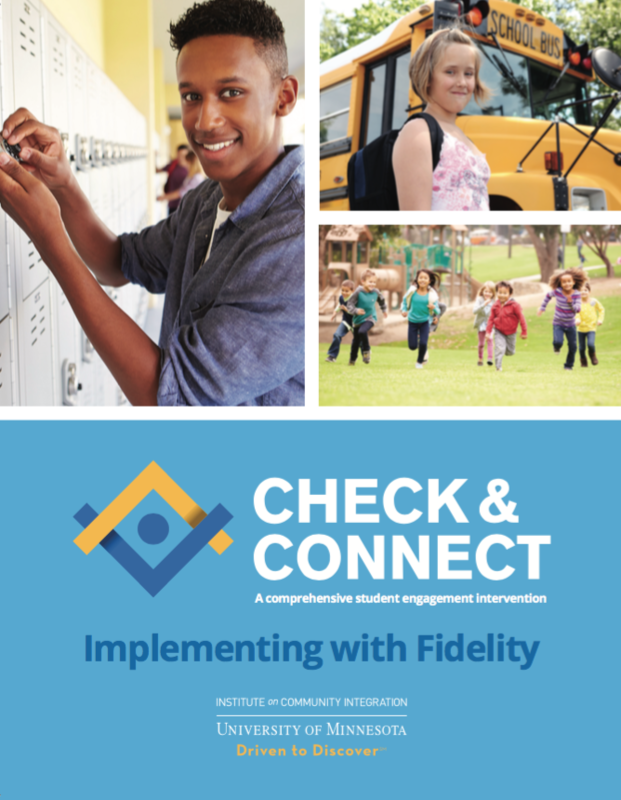 Schools and organizations may request on-site training to prepare local staff to implement each component of Check & Connect. One great plus to having our staff come to you is that you also receive pre- and post-training consultation to determine your specific needs (in preparation for the training) and to assist with implementation (follow-up). The cost is determined based on number of participants. To request on-site training, please complete the Training Inquiry form or contact us at 1-866-434-0010 or by email at checkandconnect@umn.edu.